Step back in time with us this summer! Adventures in History campers will have the chance to go behind the scenes at both the Maine Historical Society and Victoria Mansion to learn about material culture and life in the Victorian era through an exciting mix of indoor and outdoor activities, special field trips, and hands-on instruction from experts in historic preservation and traditional arts. At the end of the week, all participants will gather at MHS to share their newfound knowledge and skills in a historian’s showcase for family members and guests. After the presentation, families, and campers are encouraged to join us in the Longfellow Garden for a brown bag lunch and celebration! 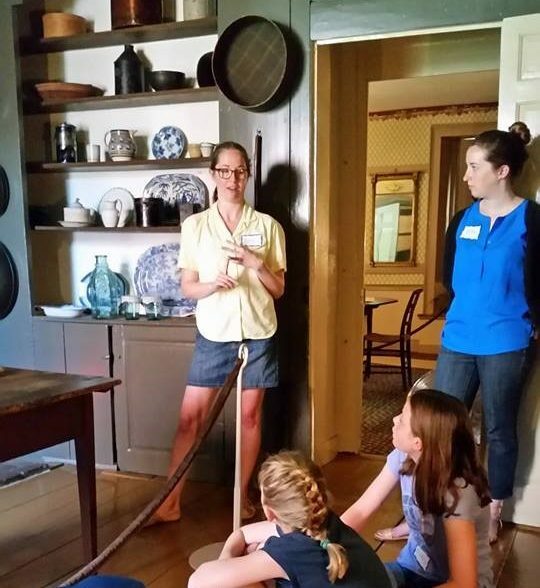 Open to students entering 6th-8th grades or Junior Docent Camp graduates. $150 for MHS and Victoria Mansion members, $200 general admission. Click HERE to register now! To request more information, or to register offline, contact Kathleen Neumann, MHS Manager of Education & Interpretive Programs, kneumann@mainehistory.org, 207-774-1822, ext. 214 or Stacia Hanscom, Victoria Mansion Director of Education, shanscom@victoriamansion.org, 207-772-4841, ext. 104.